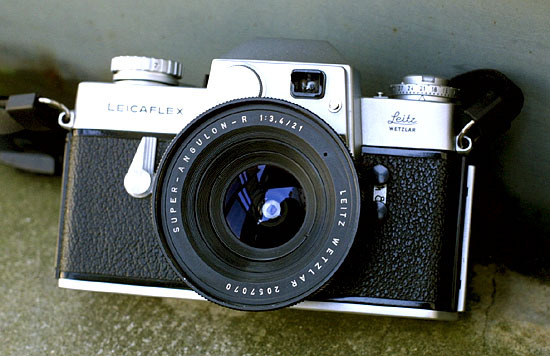 This lense was initially introduced in 1964 for the Leicaflex. 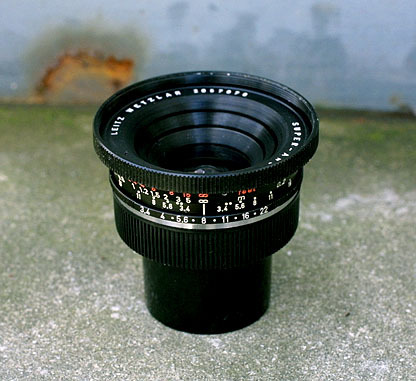 Schneider made this lense for the Leica. 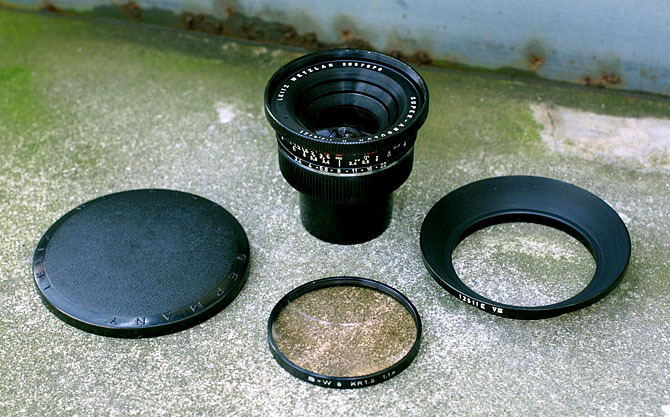 The lense itself has a same structure of its M namesake. 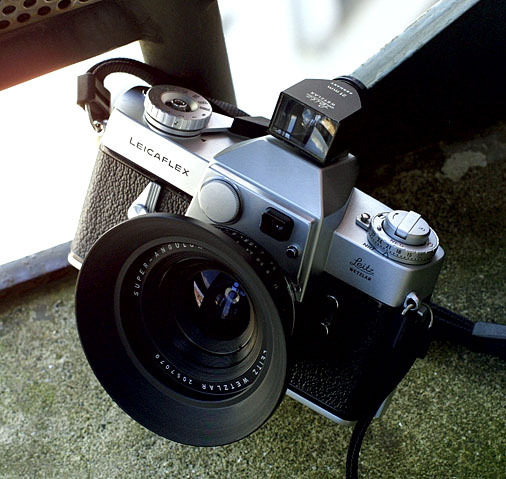 Only Leicaflex body is suitable since it has a protruding lense element which clearly interferes in the movement of mirror. 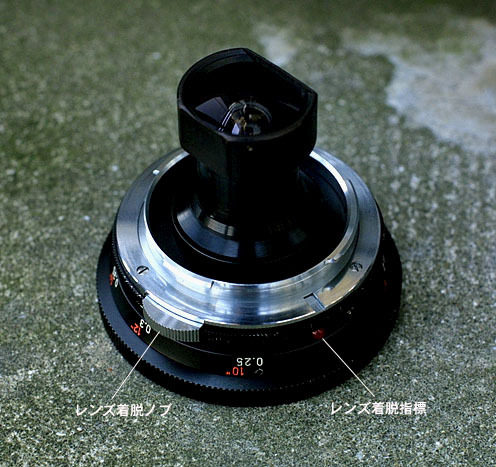 When the R6, with its mirror-up function, was introduced, everyone expected for the use of this lense with it, however, the quick-return mechanism hold off such dreams from the hands of Leica R fans even now. It is a thin lense when you mount this lense on the body. It looks really charming ! The rear element has been cut to fit with the mirror-box. Putting this lense to the body is easy, place the red mark to match the red dot of the body and turn the knob clockwise. This lense can also be used with M-body through #22228 adapter but it doesn't provide a range-finder capability so that you have to guess the distance. The picture shows the earlier model which has a feet indication in red, later model in yellow. The full out-fit for Super-Angulon-R 21mm/f3.4.